My connection to nature began as a young child in my native Colorado, tending to my mother’s flower gardens and hiking among the streams, aspen forests, and wildflowers of the Rocky Mountains. It was then that I began to capture my love of nature in my art and poetry and I never stopped. After earning degrees in fine art and art therapy, I worked as a registered art therapist, using the healing qualities of art and creative writing to help others. 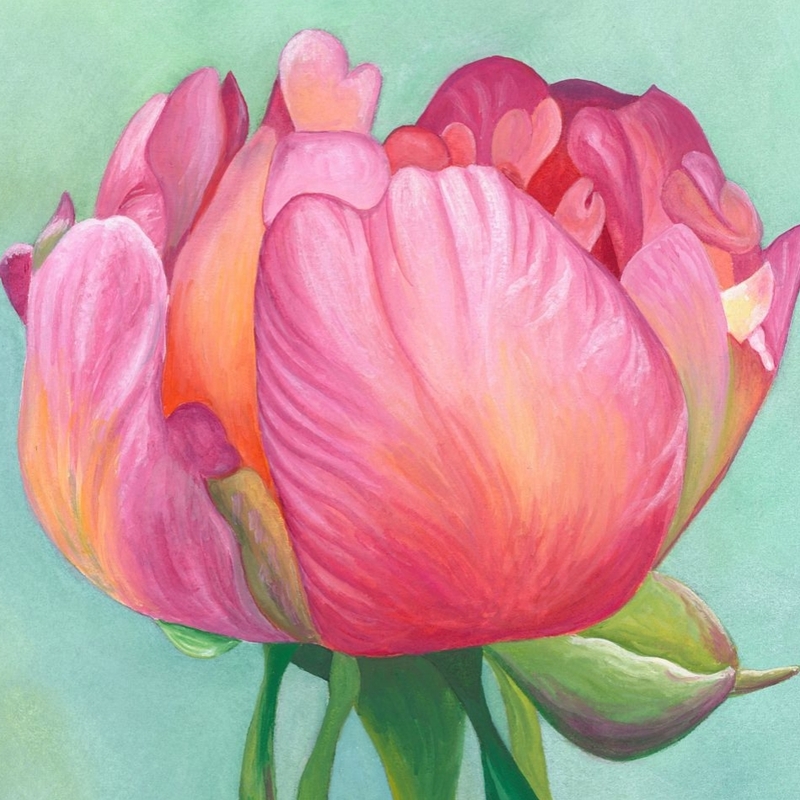 While working with individuals struggling with post-traumatic stress disorder in the early 1990s, I used my own art as a respite after coming home from work, specifically, using watercolors to recreate the elegance and grace of blooming flowers. This focus on beauty and light offered restoration after long days spent processing clients’ intense pain and grief. 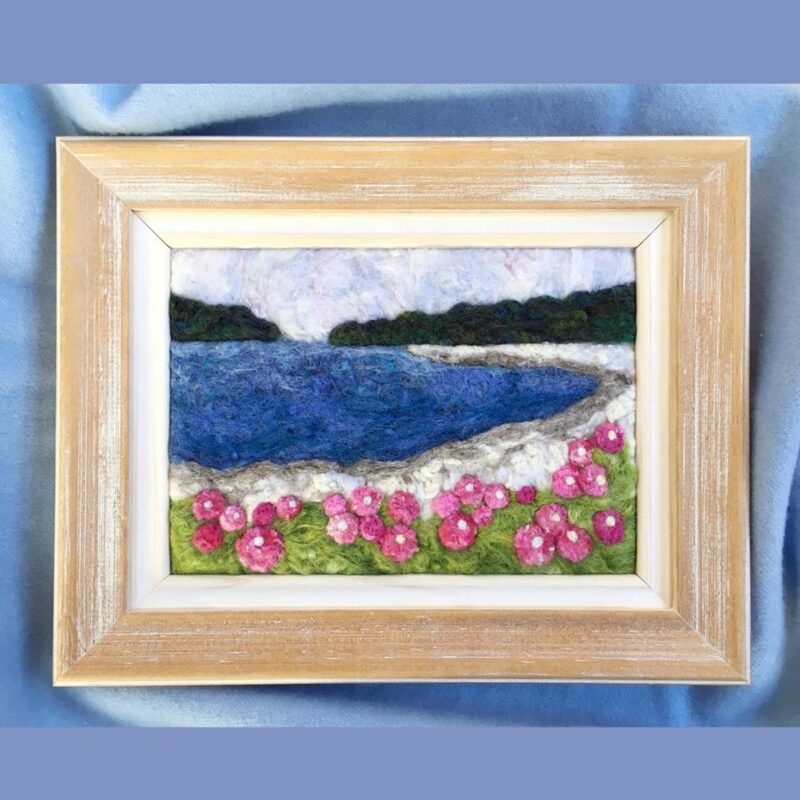 Inspired to explore my art in new mediums, I also studied the traditional craft of rug-hooking as well as needle felting and began to recreate my watercolors with wool. Like my paintings, these garnered a following of clients throughout the United States and abroad. My watercolor flowers decorate the walls of the Mayora Rosenberg Women’s Health Center at the Swedish Covenant Hospital in Chicago and were on exhibit in the Maine State Office Building in Augusta in 2017. 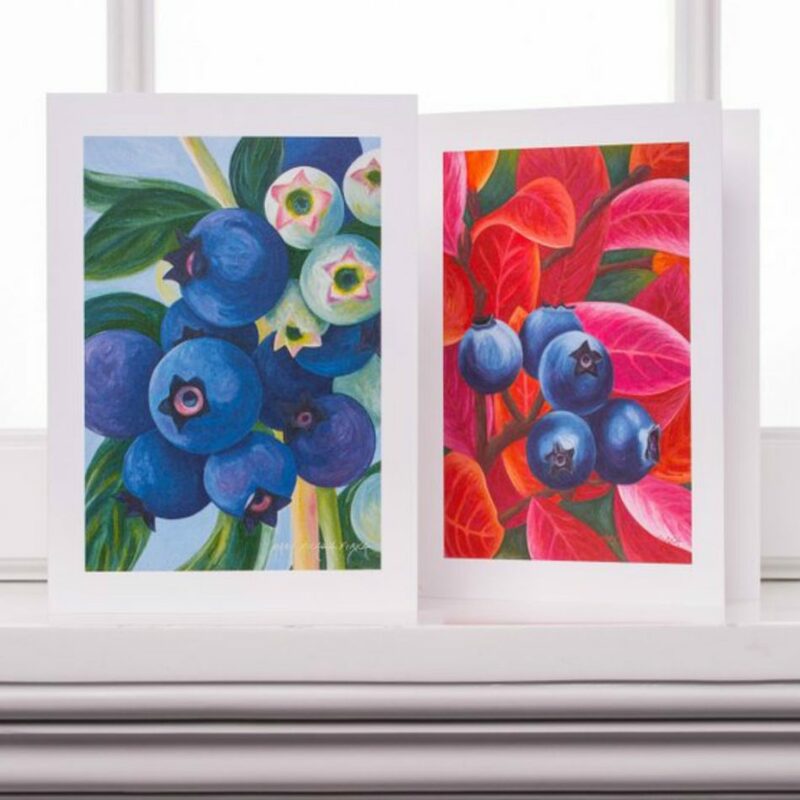 My art, prints and greeting cards are sold in artisan, botanical, book, and gift stores throughout New England and the west coast. 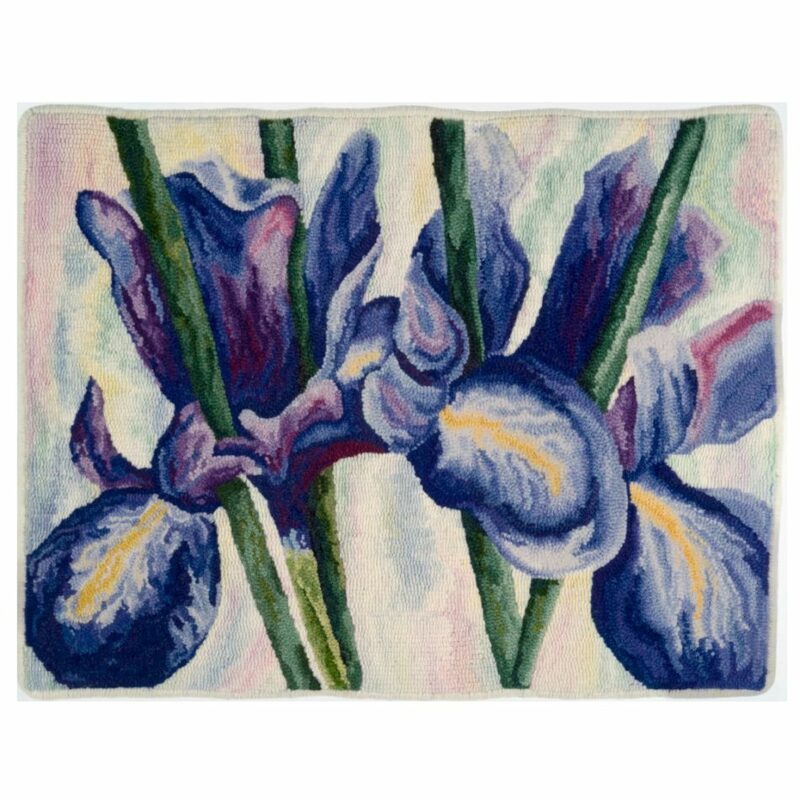 An article about my artwork and creative process entitled “Painting with Watercolors, Painting with Wool” was featured in the Spring, 2015 issue of “Rug Hooking Magazine.” In 2016, the renowned W. Cushing & Company in Wells, Maine launched an exclusive line of rug-hooking kits based on my watercolors. Since 2008, I have lived with my husband and two sons in the coastal town of Cape Elizabeth, Maine where I paint, felt, and hook in my home studio. Just as many generations of artists have before me, I find continual inspiration from the breathtaking land and seascapes that surround me. My watercolor flowers decorate the walls of the Mayora Rosenberg Women’s Health Center at the Swedish Covenant Hospital in Chicago and were on exhibit in the Maine State Office Building in Augusta in 2017. My work is sold in artisan, botanical, book, and gift stores throughout New England and the west coast.